Marion Meadows can look back on an eventful past. As a young musician he had not even dream it, to become a member of Norman Connors band and be signed by Bob James’ label. It took a bit to his own solo career. But twenty years later he can for sure describe himself as a staple of the smooth jazz format with recordings such as Keep It Right Here (1993), Forbidden Fruit (1994), Body Rhythm (1996), Another Side Of Midnight (1999), Next To You (2000), In Deep (2002), Players Club (2004), Dressed To Chill (2006), and Secrets (2009). His newest project is called Whisper and is scheduled for release on March 26, 2013. 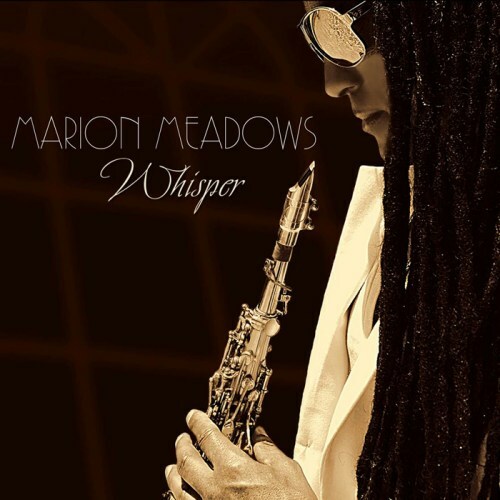 Meadows produced Whisper along with Carlos Pennisi, Bob Baldwin, Rahni Song and long-time collaborator Michael Broening. In full awareness that the first piece is the calling card of a musician, he worked together with Broening The Visitor. A tune full of Oriental exoticism with the allure of mystery. The title song is a cheerful melody, which reaches a larger group of listeners with a simple sound sequence. The elaborate arrangement satisfy even jazz fans. As first single of this album is chosen Black Pearl, which was co-produced by keyboardist Carlos Pennisi. The orchestral support is comparable with Whisper.